HDK – Academy of Crafts and Design offer a summer course open for students from the Cirrus network, two study-places are available for Cirrus students. If you are accepted, you will receive Nordplus-grants from Cirrus. 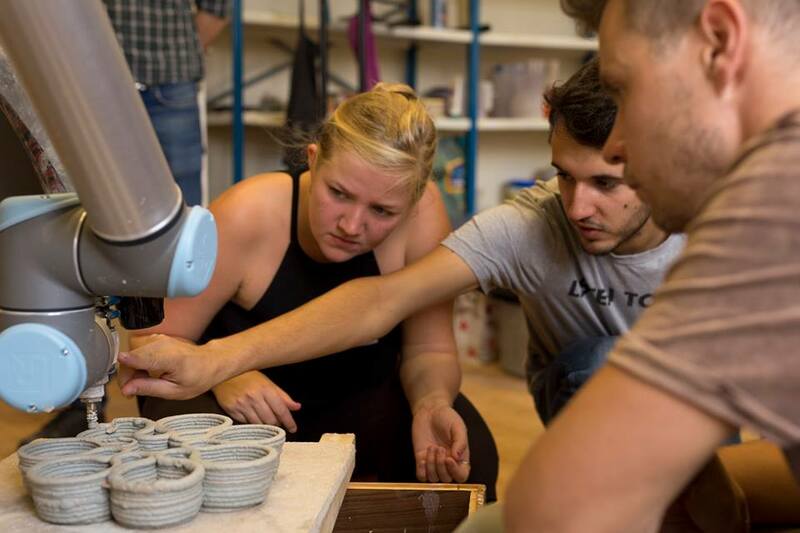 The course is addressed to students with experience of working with ceramics who wants to try new expressions through wood firing. We start with an introduction to the wood firing field and Anagamafiring where we explain how you can work both practically and artistically with wood firing. The introduction will take place on June 17that HDK. (It is desirable but not mandatory to be in Gothenburg for the introduction on June 17th. If you cannot make it, we will arrange a Skype meeting). After that, you have a period of own work where you deepen in an individual project. Your own artistic approach/artistic expressionwill be the starting point, let the theoretical information from the first meeting be help in the work. The project has to be done in your own studio as there isn´t any possibility to work at HDK. You will then bring your project to Nääs, the place where the woodfiring will take place. We recommend you to work in a suitable size for transportation. The common Anagamafiring will take place between the 17thand 26thof August at Nääs, the place where HDK has its wood firing “open air laboratory” on the ground of the castle of Nääs about 30 km from Gothenburg. Here you will have teacher led instructions and briefings, where theory around the different wood firing techniques are followed by practical work. At the end of the week, we will evaluate and analyse the outcomes from the wood firing with your text as the starting point and see how your expectations correspond to the results and if you see this kind of firing and process as part of a possible development of your artistic practice. The workload during this last week will be very intense. You will be divided into groups and work with different tasks in on-going work shifts. You will stay at Nääs hostel and we will cook together.The expenses for food and accommodation are upon you. Entrance qualifications: Pre-knowledge in Ceramic, at least 60 ECTS. to Cecilia Eriksen Wijk cecilia.eriksen.wijk@hdk.gu.se at the latest April 18. Mark your email: Cirrus summer course.